There is no any other time for someone to think of drastic reduction of expenses on fuel consumption than now. We all know that the fuel price was suddenly hiked after we experienced excruciating fuel scarcity. The price we now pay for petrol which has become essential part of our lives whether for domestic use for us to generate electricity at home or for us to run our businesses is almost twice of what we were previously paying. 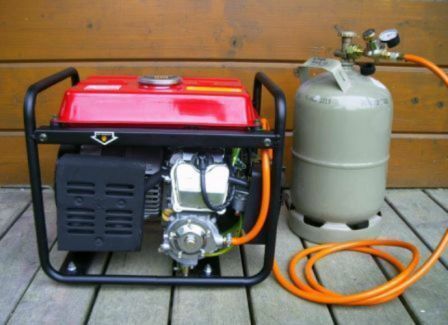 No matter what your business type is in Nigeria, whether small, medium or large scale, you need to run it on generator. Most of us don’t even think of the national electricity supply because it is ridiculously unreliable. You see, the good news is that we now have a solution. You can drastically reduce the amount you burn on fuel now by using the cooking gas which is often called the Liquified Petroleum Gas. I have some other story to tell you about my exploration with power generation and the experiment I am doing now to start generating my own gas. But let me quickly first tell you what you need to convert your generator to dual system that will be able to use petrol and gas at the same time. Who even wants to use the expensive petrol again? We now prefer the gas but it is still there and there may be some days it will be useful again. Out of the 6 items stated above, you should have the 3 items below readily available. You can pick any of the items up at the supply centre nearest to you. There are two types of the Gas & Petrol Engine Converter, the first one is for generator with the capacity of 2.0kVa – 3.5KVa while the other one is for 4.0kVa – 10.0kVa.We are presently supplying the best of these devices and you shouldn’t settle for the fake ones. Below are the prices for the two types of the devices. Please take note that you cannot use the device for the popular small tiger generator, a.k.a “I better pass my neighbor”. You can as well engage your generator technician to help you install the device. It is simple to install and it takes few minutes to do that. I have personally been looking for ways to reduce the cost of fuel consumption for a very long time. 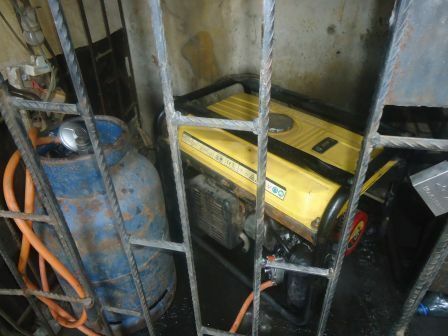 It was becoming annoying and frustrating using generator round the clock since NEPA would not always give us light. The money being spent on petrol and repair was becoming unbearable. Some years back, I decided to cut off NEPA and regular expenses on fuel. I spent close to nine hundred thousand naira (N900,000.00) trying to get alternative power supply. I ventured into using inverter and install solar panel on the roof of our house. I thought I would resolve the power problem and I could actually call off the buff of NEPA, but alas, it was a joke. The problem is that you will always need batteries for your inverter to work. If you consume a lot of energy, you will need to increase the number of solar panel you are using and also increase the number of your batteries. If there is no enough sun ray especially during dull weather time like raining season and there is no power supply from NEPA, then, your batteries may not get charged well. That wasn’t my problem but I discovered that over time the batteries do have problem and then you will need to replace it especially if the batteries get flat often before you recharge it. If you don’t have enough solar panel that can charge your batteries and no power supply, then you may need to get a bigger generator that will help you charge the batteries. Before you know it, the money you are spending to generate power through solar and inverter will constantly be on increase. The battery cost is often around N50,000.00 to N60,000.00 and depending on the quantity of power supply you need, you may need to buy like four batteries or more and that means you will need to cough out about N200,000.00 to N240,000.00. That is not even much of a challenge but before you know it, one of the batteries may have problem and you will need to replace it. Over time, I noticed that you may need to replace all the batteries in succession therefore paying again for battery which has become like a fuel. Just that in this case, your “fuel” which is the battery is “post-paid” not as “pay-as-you” for petrol. I didn’t really like the idea, I want something permanent and that is cheaper than using NEPA or DISCO (anyhow I use the name, I hope you know them, the service has remained the same despite several names changing)and petrol for generator. 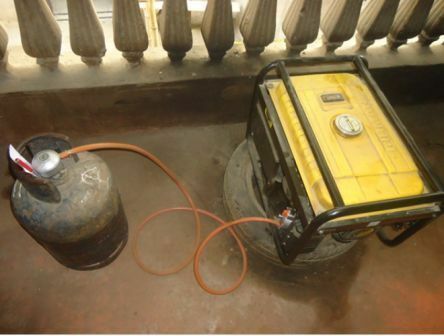 In my research I discovered that we can use the cooking gas, that is, the liquified petroleum gas to run generator. I also knew you will still need to be buying the cooking gas and it means; you are still incurring some cost. Then, I continue my research work and discovered that I can generate gas by myself. That was really exciting. I studied the technology and I realized that it is doable. But then, if I will have to generate the gas, how do we use it to run our generator? As you know, most of the generator we have in Nigeria either use petrol or diesel. 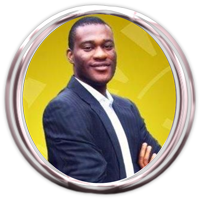 But today, I am feeling like someone on top of the world because we now have the carburetor here in Nigeria, i.e. the conversion part that can help the generator to use both petrol and gas at the same time and we are presently supply the best of the device. The other thing you need to know is that if you are using gas, you cannot be using the petrol at the same time and that is vice versa. Now, with this, we are getting to the point of saying goodbye to petrol because in the next few months from now, most people would have adopted the liquefied Petroleum Gas (LPG) for their generator. But we are not going to stop there. We have started the experiment to be able to generate our own gas and it is 60% done. When the technology is finally ready, it will be one of the greatest breakthroughs for most Nigerians because you will not use your money to even buy gas anymore. If you buy the petrol and fuel engine conversion device today, you will be one of the first set of people we will be introducing the gas generating technology to. So, kindly look forward to that as we are getting to the point that the government and the petroleum products marketers will nearly be kneeling down begging us to come and buy their products that will not useful to us again. To make your payment, use the button below to pay online. +234 802 709 7030, +234 706 614 2229, +234 815 131 8447, +234 909 990 5352. Do not hesitate to make your payment right away and be part of this lifetime opportunity.